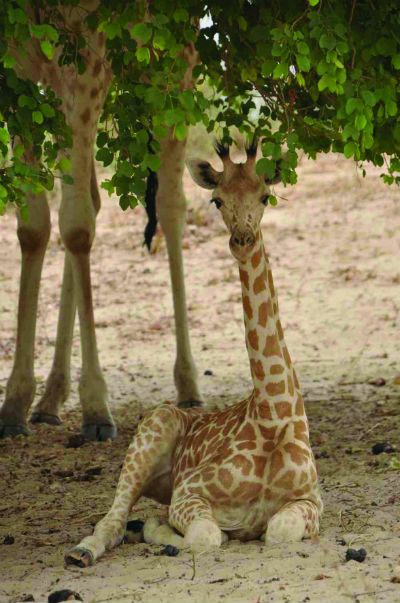 The Born Free-supported Giraffe Conservation Foundation (GCF) has successfully re-introduced eight West African giraffe to the Gadabedji Biosphere Reserve in Niger, after an absence of almost 50 years. GCF undertook extensive surveys of the Gadabedji Biosphere Reserve to make sure it was a suitable habitat for the giraffe. After thorough planning, eight giraffe were safely captured in the ‘Giraffe Zone’ and were transferred to a holding pen. After weeks of preparing the animals for the journey, the giraffes were transported over 800kms to their new home where they were successfully released. Here, they are free to thrive in a healthy and well-managed ecosystem. The West African giraffe was once widespread throughout West Africa, but is now only found in Niger. There were only 49 West African giraffe left in the wild two decades ago. However, due to efforts by the government of Niger and international and local partners, there are now 600 West African giraffes, found only in the ‘Giraffe Zone’ near the capital of Niger. Because of these conservation efforts, last month the West African giraffe was downlisted to the status of Vulnerable from Endangered by the International Union for Conservation of Nature. The re-introduction of the West African giraffe will further enrich the Gadabedji Biosphere Reserve biodiversity and contribute to increasing community development and support in the region.